Eva has been with DHTFG for 14 years, joining in 2003. She heads up our Client Relation Services and enjoys being able to provide a personal touch to DHTFG clients. She embraces the DHTFG mission statement of giving 110% to past, present and future clients. 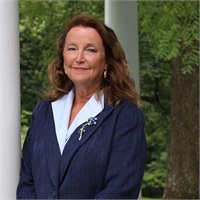 Prior to joining the DHTFG team Eva was an antique dealer in the Bill Bentley Antique Mall and worked in the banking and mortgage industries. A Maryland native, she grew up in Baltimore and has spent the last 17 years living in Harford County with her three children. She enjoys spending time with her new grandson, trips to the beach and searching out antique stores.